Depending on where in the West you are, this winter was either a winner or a big bust: Montana, for example, is swathed in snow while parts of the Southwest are dismally bare. As of late March, the Upper Colorado River Basin snowpack was well below average. But the longterm trend is clear: Years of research show that the region’s snowpack is declining as the climate warms. About two-thirds of the West’s water comes from snow, and “we’re losing that natural reservoir,” says Sarah Kapnick, a hydroclimate scientist with the National Oceanic and Atmospheric Administration. Forecasting the coming winter’s bounty months in advance could help Westerners prepare for surplus or scarcity, Kapnick says. Better predictions would allow officials time to implement flood control or water conservation measures, for example, and help farmers decide whether to plant thirsty crops or hardier ones. Frank Gehrke, chief of the California Cooperative Snow Surveys Program, right, plunges a snow survey tube into the snowpack to check its depth on March 5, 2018, near Echo Summit, California. By late March, the statewide snowpack was about 60 percent of normal. THE STUDY: “Exploring the origins of snow drought in the Northern Sierra Nevada, California,” Earth Interactions, December 2017. THE TAKEAWAY: Not all droughts are dry. A “snow drought” can occur even when there’s plenty of precipitation if it’s so warm that it falls as rain instead of snow. WHAT IT MEANS: To understand what causes snow droughts, scientists from the Desert Research Institute in Reno, Nevada analyzed decades of monthly snow measurements from the northern Sierra Nevada, near Lake Tahoe. 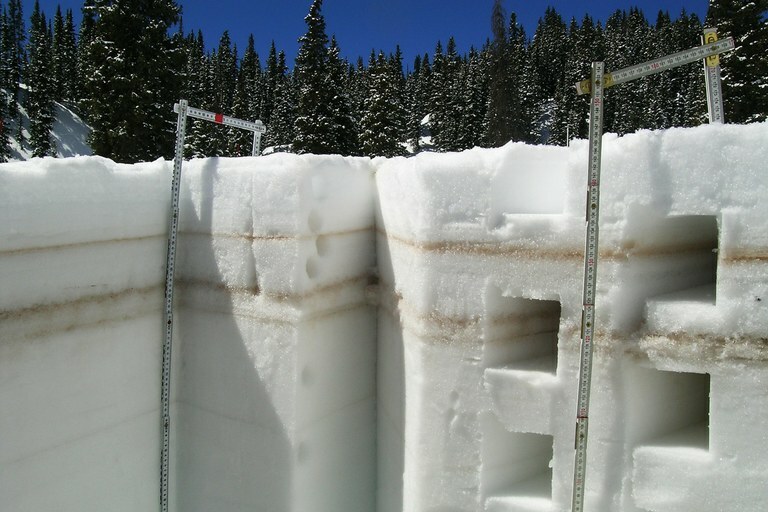 They identified several snow droughts caused by a variety of factors, including dry periods, warm weather and rain falling on snow and melting it. The researchers found that some weather patterns have inconsistent impacts: For example, atmospheric river storms, bands of water-soaked air that can drench the West Coast, might initiate a snow drought if they bring mostly rain, or end one if they deliver snow. While snow droughts aren’t a new phenomenon — the scientists found evidence for one in 1951, the earliest year they studied — it does appear that they are becoming more common. “We’re seeing them stack up a little bit more now,” says Benjamin Hatchett, one of the study’s co-authors. That trend will likely continue as the climate warms, stressing both ecosystems and economies that depend on snow and the water it holds. Fog rolls in below snow-dusted peaks on Washington’s Olympic Peninsula. In relatively humid places like the Pacific Northwest, more water melts from the snowpack during the wintertime than in more arid regions. THE STUDY: “Humidity determines snowpack ablation under a warming climate,” Proceedings of the National Academy of Sciences, January 2018. THE TAKEAWAY: The amount of moisture in the air drives wintertime dips in the snowpack. There’s more midwinter snowmelt in humid corners of the West than arid ones. 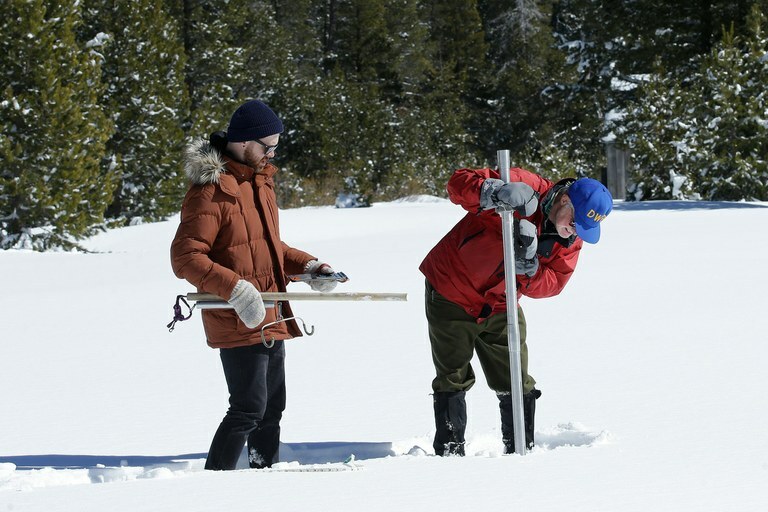 WHAT IT MEANS: Scientists from the University of Nevada Reno and the University of Utah scrutinized decades of weather and snow records from 462 sites across the West to understand why water in the snowpack sometimes dwindles during the wintertime. They found that relatively wet places experienced more wintertime melting. 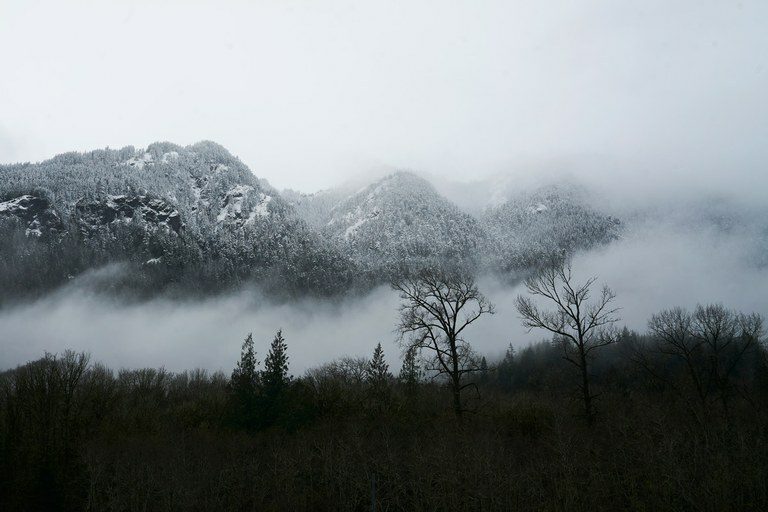 During humid weather — a stretch of foggy days, for example — water vapor in the air condenses on the snowpack, releasing energy and heating the snow. Clouds and moist air also prevent nighttime cooling, pushing the snowpack closer toward thawing, sometimes well before spring. “If (snow) is melting and not sticking around to the times later in the year when we need and expect that water, that’s a real problem,” says Adrian Harpold, a hydrologist at the University of Nevada Reno and co-author of the study. Harpold says parts of the Western snowpack could be hit hard by amplified humidity in the future. Because a warmer atmosphere can hold more moisture, places near the ocean or other large bodies of water will likely experience more humidity — and more melting. Layers of dust stripe the sides of a pit dug into the snow in Colorado. Dust deposited or exposed on the surface of the snowpack contributes to faster warming and melting. THE STUDY: “Variation in rising limb of Colorado River snowmelt runoff hydrograph controlled by dust radiative forcing in snow,” Geophysical Research Letters, December 2017. THE TAKEAWAY: Snow covered in dust melts faster than clean snow, because it absorbs more energy from the sun. In some areas, dust influences the speed of spring snowmelt more than air temperature. WHAT IT MEANS: Dust blown in from the Great Basin and the Colorado Plateau periodically darkens alpine slopes in southwest Colorado’s San Juan Mountains. A team of scientists examined air temperature, dust deposition and how quickly a handful of rivers in the area rose in the spring between 2005 and 2014. Dust was the dominant factor: Spring runoff happened more quickly in years with more dust, regardless of whether the air was warm or cool. Understanding how dust affects snowmelt and spring runoff is crucial for water management, says Tom Painter, an author of the study and a snow hydrologist at NASA’s Jet Propulsion Laboratory. A bigger, faster pulse of water could stress infrastructure and increase the risk of flooding. That doesn’t mean air temperature is completely irrelevant. After all, that’s what determines how much precipitation falls as snow rather than rain. “That is an enormous impact on the water resources as well,” Painter says. Emily Benson is an assistant editor at High Country News.